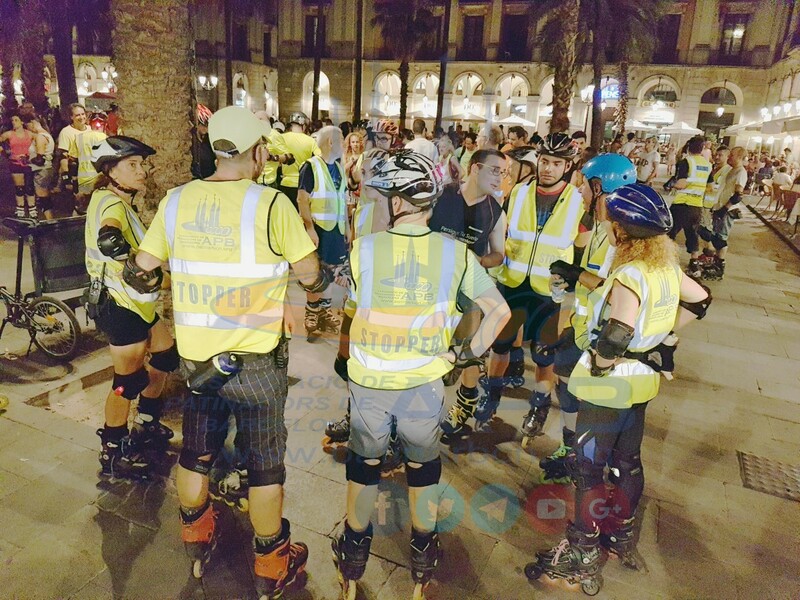 The purpose of the APB is to continue making routes through Barcelona, in inline skates, in an organized way, to achieve the respect of all users of the public road, likewise, the recognition by the authorities, of this urban discipline that integrates sports, recreational leisure, general health, sustainable transport and accepted discipline to generate synergies of personal and social well-being. The Association was born with the model of the routes of the great European cities and, therefore, with the structures that they had and adapted to our city, to its streets, to its ordinances of civility and coexistence, and to the typical character of our culture; including in its structure, a group of partners, that for the profile of solidarity, collaborative, proactive and committed to the utopia made reality, on wheels, in our Olympic city, open to sport and the great advantages of practicing it in an environment citizen. This group consists of skaters and skaters who perform this task in a manner that is committed to the event and its continuity. On the one hand, they take care that the passage of the route does not obstruct more than necessary the circulation of the rest of users of the public road, taking care of both the people, the public furniture and the civic image that leads us to continue in force. On the other hand, they take care of the group, ensuring that the steps are retained to achieve fluid and compact routes, among many other situations that could be generated. Can you imagine that we had to stop every time a car comes out or that, almost the entire route, we stopped to wait for those who did not cross on time? Can you imagine that when a car leaves the parking lot, it will destroy the skaters due to the fact of leaving without precaution? Can you imagine that we were disorganized, the enormous possibility of accidents? 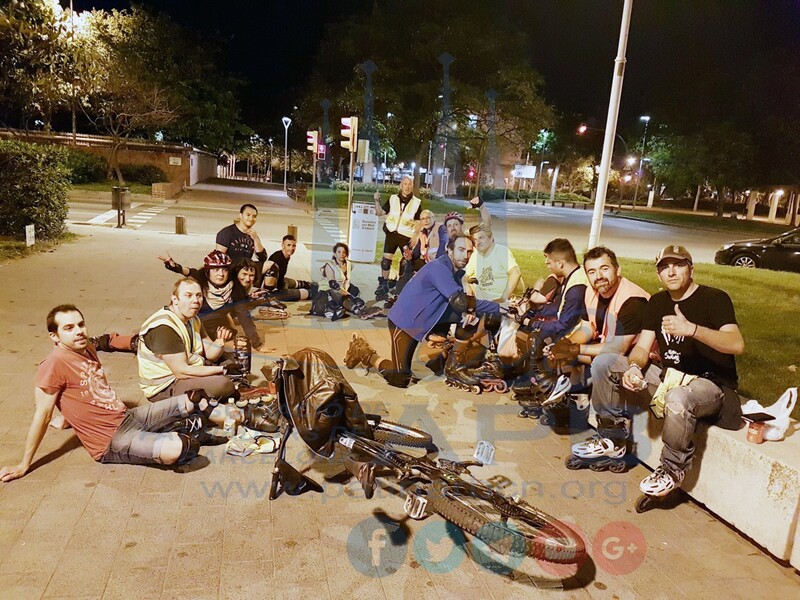 The number of situations that would have ended with the APB routes after 15 years can be many, although we do not contemplate them because the stoppers make the routes, an urban skate party, every Friday, in our beloved Barcelona. Being a stopper has a process. 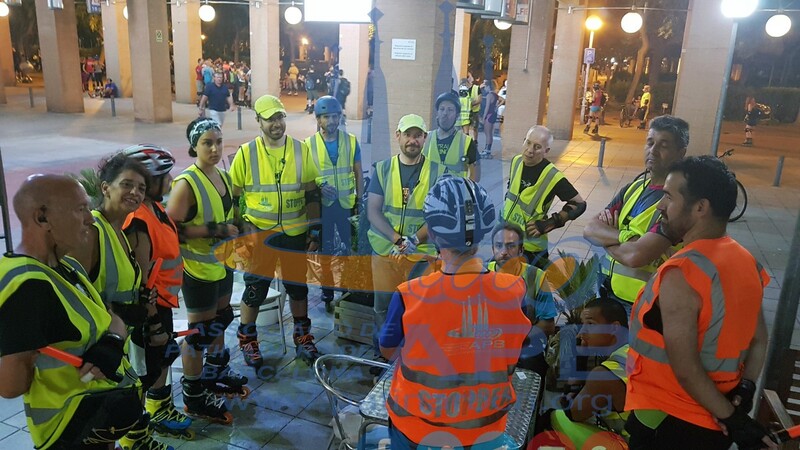 Although, it is preferred to skaters with acquired skills and autonomy, being a weekly training (pre-route and route), you gain in agility and skills that allow, not only to overcome, but to take care of the group and of what could harm the environment of recreational shared leisure, time to enjoy on wheels. Start as tail stopper, so that attendees know the person, identify it, integrate it; and on the stopper's part, to generate security and empathy, always according to the rhythm that marks the route and the organization. Then it goes to stopper head, to learn what it is to take a route, support the route manager and control that the route does not get out of control. And then it is tested as a yellow stopper, which is the one that retains the traffic, controls the exits of parkings or parking, remounts to speed up the route, helps the queue in complicated steps, protects pedestrians and people with reduced mobility, supports the organization and take care of the skater in terms of the continuity of the route and the rules that we follow to guarantee the APB Fridays, and therefore, the tolerance towards the urban skater in the rest of the days and hours, in the complicated traffic network of Bcn. The stoppers are skaters and partners who believe in the APB philosophy, defend urban skating as best they understand it, every Friday, taking care of the attendees, risking their safety for others and others enjoy, keeping the route current, generating contention so that tolerance for the urban skater continues, respecting and enforcing rules that give us the opportunity to group, at no cost to users (but for stoppers, who spend their wheels and brakes and transportation, and for the association, in clothing and communication) in a moment of healthy sport practice, accompanied by Amigos en Patines en Barcelona (Friends in Skates in Barcelona). Although the route is made between all and all, and the stoppers are to guarantee a certain security, it is the responsibility of everyone who can continue. We ask that you leave the corridor free to the left so as not to slow down the routes, listen to music through a single earpiece, do not consume alcoholic beverages or prohibited substances so as not to cause accidents, that take care of the image of this event that is a pride for the skaters, a seal of quality for the city and an example for the world. Being a stopper invites you to take out that altruistic and supportive, patient and empathetic, involved and proactive part that, at the end of the route, takes you to the satisfaction of having contributed to broad smiles, to overcome challenges, to wheels spent with joy, to do sport with friends, to share the city as only skaters know how to enjoy. To be a stopper is to be, in short, a friend or a colleague who, even if you do not know, will be there to help in what they can and enjoy more routes together.